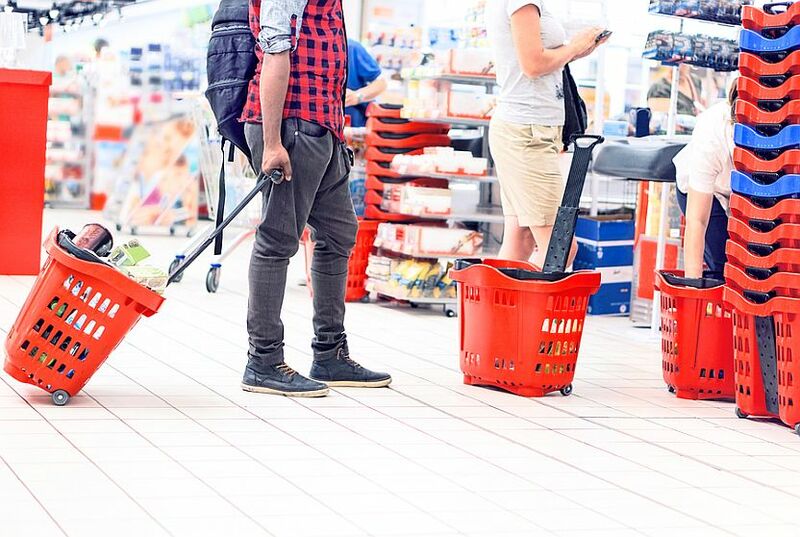 While a buyback is pleasing and should underpin the stock in the short term, brokers suspect the closure of struggling Big W stores may not be enough to counter the headwinds facing Woolworths. An anticipated buyback by Woolworths ((WOW)) has pleased brokers, although the announcement was overshadowed by the completion of the review of discount department store Big W.
Woolworths has announced a $1.7bn off-market buyback following the sale of its petrol division. Ord Minnett considers the stock valuation elevated, as it was incorporating a premium for capital management as well as the company's market leading position in grocery. The capital return is 8% accretive on an after-tax basis, and Citi agrees the focus on tax-effective returns is driving the share price at present, while the rationalisation of Big W stores is a necessary step to align supply and demand in discount department stores. The broker expects the premium to fundamental valuation will reverse as the shares are tended into the buyback over coming weeks, and assesses 50-60% of the share register will benefit from the buyback for the 4% of the market capitalisation being repurchased. This includes almost all Australian superannuation funds, which represent around 35% of the register. Meanwhile, the company's third quarter trading update indicated like-for-like sales at Big W rose 6%, although not adjusted for Easter. Macquarie notes the late timing of Easter in 2019 will be a drag on reported numbers in the third quarter and a benefit to the fourth. However, the broker is disappointed Big W sales momentum has not converted to profit, partly attributable to the shift in mix online and a higher cost to serve. Shaw and Partners, not one of the eight stockbrokers monitored daily on the FNArena database, believes a reduction in the Big W footprint will not change the fact that recent results were 'tepid' and Woolworths went backwards in nearly every division. The broker questions whether the company strategies to turn Big W around will actually be successful. Costs continue to rise and prices keep coming down across the company's businesses. Australia is the second most concentrated grocery market in the world (behind New Zealand) and the broker suspects competition is likely to become far more aggressive. Shaw and Partners is uncomfortable with the lack of growth and retains a Sell rating, with a $29 target. Woolworths will close 30 stores over the next three years and two distribution centres at the end of the leases. This is a positive step, brokers suggest, as many of the stores were loss-making. Ord Minnett found the number of stores to be closed a fair number but, despite the strong sales growth, there are impediments to earnings as the discount department store industry is under pressure. Rival Target ((WES)) is also closing stores. Citi calculates Big W has cut the store footprint by 16% which, when combined with Target's -20% reduction, is driving consolidation in the segment of around -5% over the next five years. Kmart (WES), on the other hand, is expanding its footprint by 23% over the next five years and is expected to have half of the discount department store industry floor space by FY23. Citi believes this is the start of a longer-term rationalisation of the segment, which will remain under pressure in terms of sales per square metre and profitability. Macquarie's research signalled the potential to close 60 stores but the broker acknowledges 30 is a step in the right direction. The actual stores were not identified although the company has indicated the decision is based on trading performance, with the 30 stores having the lower sales per square metre and highest rent per square metre in the network. This surprised Deutsche Bank as it implies that the stores are generally in higher-quality locations (or maybe involve bad deals that should never have been signed with landlords). The closure of the two distribution centres, one in South Australia and one in Queensland, in 2021 and 2023 respectively, will result in a benefit to inventory. Credit Suisse observes the closure of the stores whittles away the lease liability and reduces ongoing losses, enabling the company more time to achieve a better position for the chain.